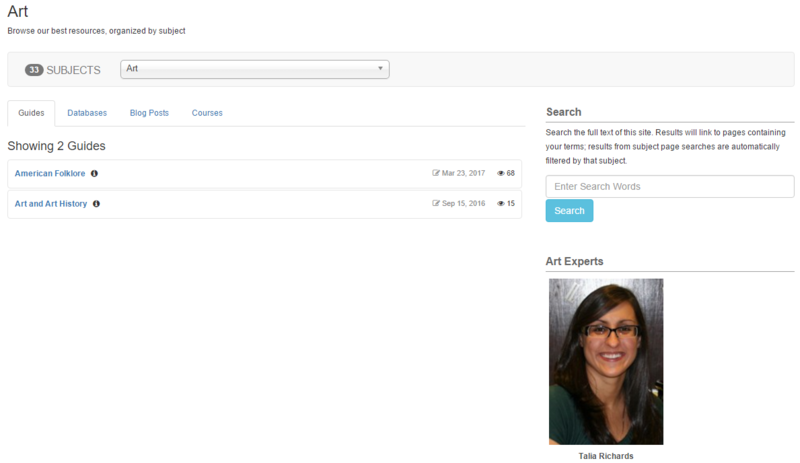 When you assign users as experts for a subject, they will be listed on that subject's homepage. Each subject you create has its own homepage, which includes all of the assigned guides, databases, blog posts, and e-reserves courses. It will also list all of the librarians assigned as experts to that subject. Experts will also be listed in other areas, as well, such as the "By Subjects" listing on the homepage, as well as when filtering your A-Z Database List by subject. In addition, that subject category will be included in the user's profile box, indicating that they are an expert for that category. When a user clicks on that subject in the profile box, they'll be taken to that subject's homepage where they can find additional resources. 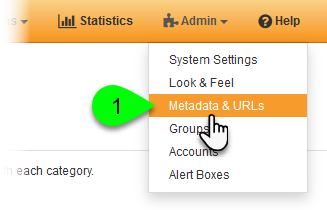 Log into LibGuides and go to Admin > Metadata & URLs. 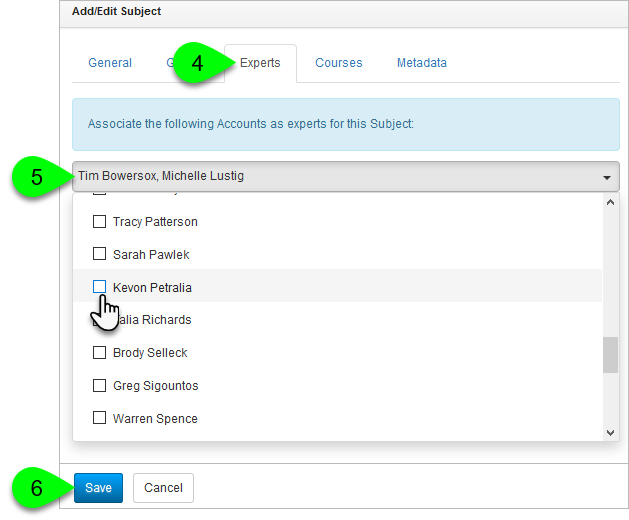 Under the Subjects tab, the Expert Count column will indicate how many users are currently assigned to each subject. To manage a subject's experts, click on its Edit () icon in the Actions column. In the Add/Edit Subject window, click on the Experts tab. Click on the dropdown menu and use the checkboxes to add or remove assigned users. Note: a user must have a LibGuides user account in order to be assigned as an expert.